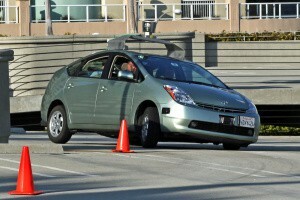 Who is liable when a driverless car is in a car accident? This intriguing question arises from the car makers’ efforts to automate driving. “Driverless cars” range on a continuum. Some car makers provide traffic jam assist features, which take over steering, braking and acceleration as cars creep along in bumper to bumper traffic. Some systems keep the car centered in a lane and adjusting its speed based on the way drivers around it are behaving. Some manufacturers are already offering systems that assist in parking a car. And you’ve likely heard of the Google car (shown above) which is based on the concept of a car that can drive itself in all driving conditions. How do you feel about sitting in a car in a passenger seat and turning control of the car over to a robot? The first time I went through a car wash I tried to steer the car and got yelled at by the car wash employee. I found myself hyperventilating with anxiety, hating the feeling of the car being pulled along a track. I still avoid car washes. Within five years, it may be possible to robotically pilot a car. I can envision a situation in which a busy parent says, “Let’s send the car to pick up the kids.” How comfortable would you be in putting your child into a driverless car? Would you trust the technology to the point of it being able to dodge other cars? If a car could automatically change lanes to avoid a hazard, what happens if there is another car in the lane? Suppose the car malfunctions, as happened to me one time when a spring in the accelerator broke and the gas pedal got stuck in a wide open position. I had to drive many miles by placing my toes under the pedal and nudging it up to slow down and pushing it down to accelerate. It was a $2.00 part that could have killed me. 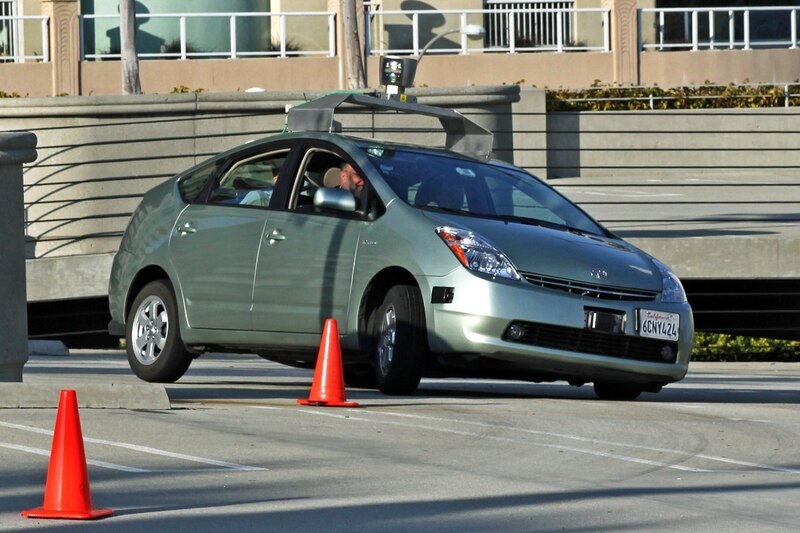 Who is liable if a driverless car malfunctions? How does an accident investigator determine if the accident occurred due to a malfunction or due to the behavior of another driver? How do you separate out the liability of the person who set the car into motion from the liability of the manufacturer? How will the automakers, insurers, regulators, and courts respond to some of the new issues raised by this technology? Is this the ultimate “empty chair” defense? How comfortable are you with turning control over to a car? Share your thoughts. Leave a comment. Lots of questions, and no good answers yet. Read more about liability here. Contact Med League for help with your motor vehicle crash cases. Our nurses are skilled in summarizing medical records of patients injured in car accidents.